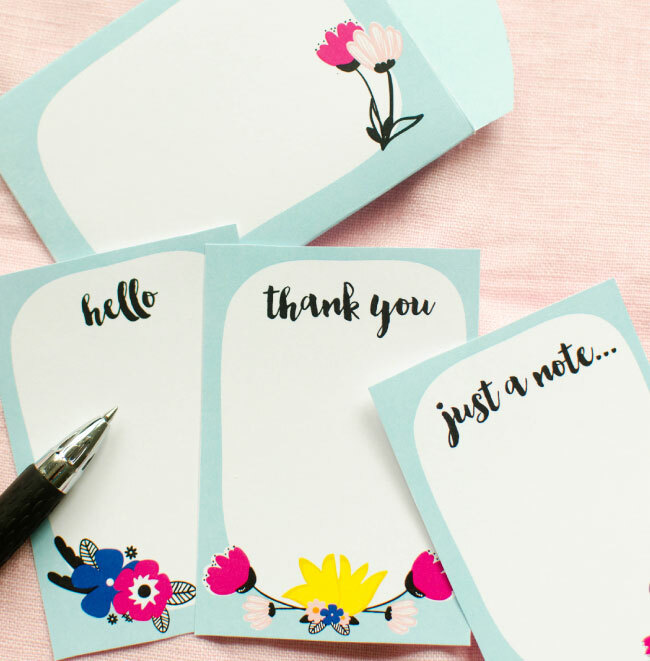 Sometimes you just need to write a quick little note to say thanks, or hello, or whatever is on your mind. 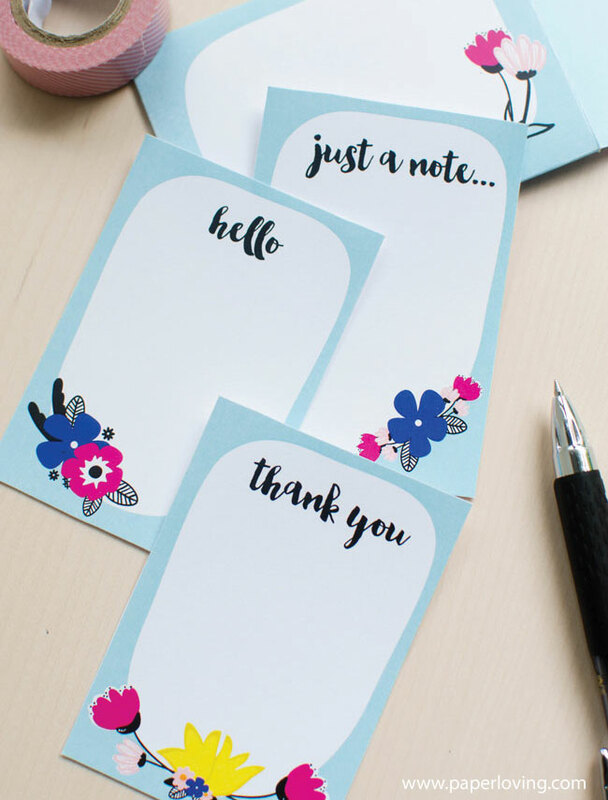 These printable note cards are on the smallish side and are perfect for smallish notes to loved ones, friends, teachers, and other nice folks we come in contact with throughout the day. The printable envelope is included in this free download. Just cut, fold, and glue (or tape) and it’ll be ready to hold your heartfelt words. 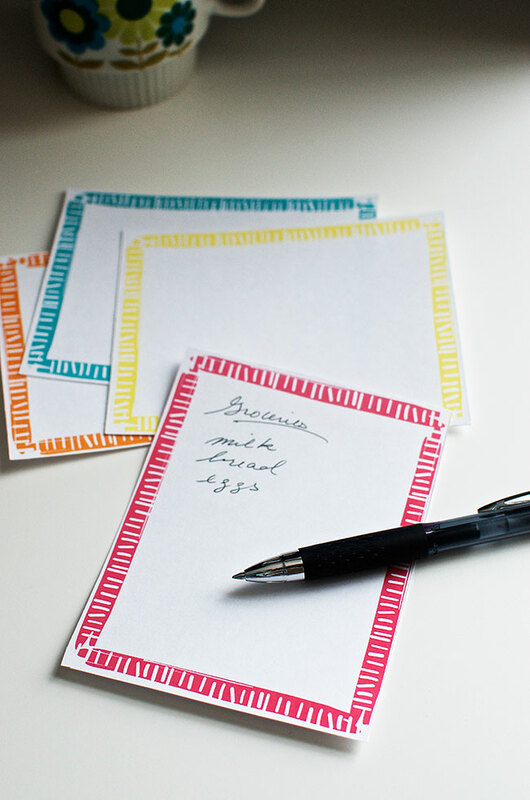 These note cards are for personal use only. Please do not sell or distribute the files in any way. 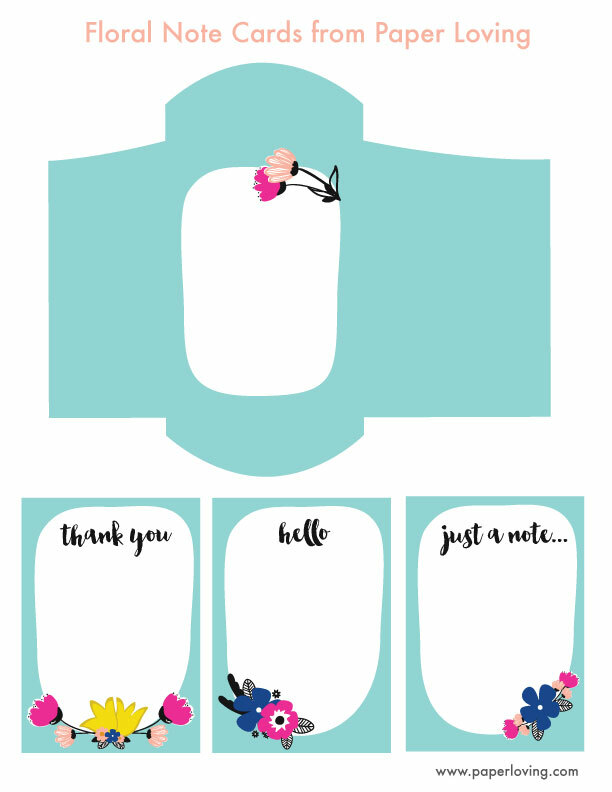 You may purchase the floral elements used in these cards by buying my Retro Modern Floral Clipart set (includes commercial use license). 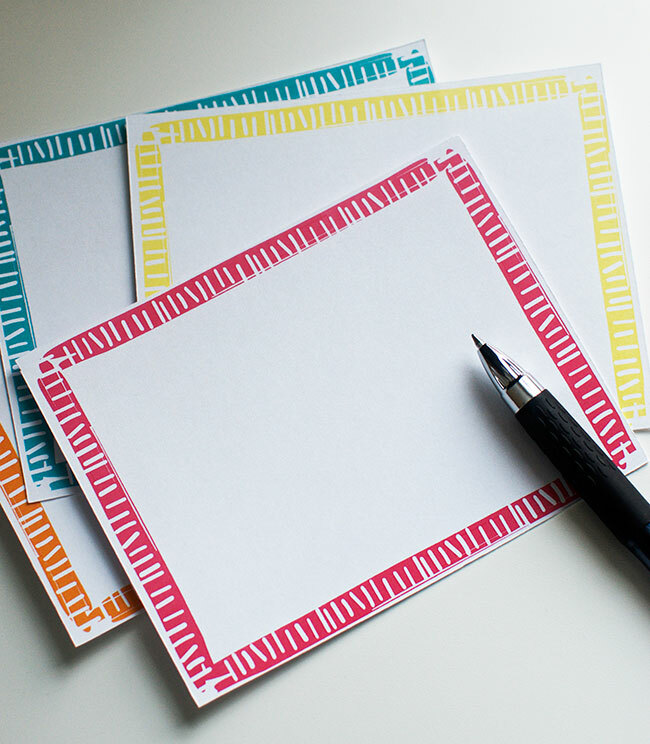 I’m using my time today to fiddle around with things, and in the process, I decided to print up these colorful note cards. Decorative and utilitarian…a winner for sure. I’m thinking I’m going to do this more, which is why I included #1 in the title, but I’m notorious for not following through with things, so there’s that. Ahh…Now download and print your file. Then you can sit down with whatever delicious hot beverage you prefer and jot down a little note. Or a list.